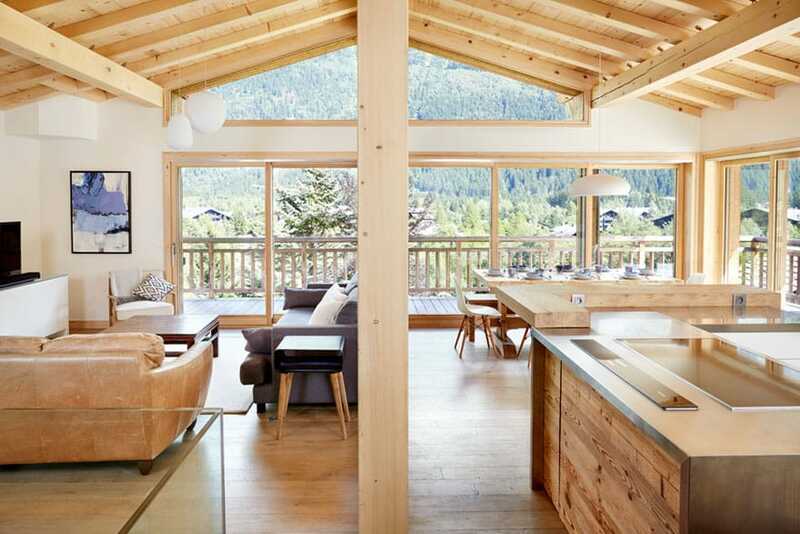 We’re thrilled to announce that one of Marmotte Mountain’s chalets has been shortlisted as one of the best vacation rentals in the world for design lovers. Air Canada endorsed Marmotte Mountain’s Eco Lodge, nestled in the mountains of Chamonix, promoting its postcard-worthy views and classic chalet architecture. enRoute is Air Canada’s in flight travel magazine, and the publication also has a well-established website featuring city guides, food and drink destinations and arts and culture round ups. Last month it published an article featuring unique holiday rentals from around the globe, and the Marmotte Mountain mention takes our luxurious reputation to the next level. Other properties featured included a charming old winery in Sicily and a secluded treehouse in Atlanta, US. The panoramic view is another premium feature of the eco-friendly hideaway. Guests can relax in the open plan living area with floor to ceiling windows and take in the spectacular sight, or enjoy al fresco dining on the outdoor terraces with a view to remember. The recent publicity has made the Eco Lodge very popular with travellers from all over the world. The beautiful five bedroom chalet boasts a myriad of five star facilities and arguably the best mountain views in Chamonix. 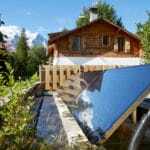 Additionally, this chalet has another important feature – it is fully self-sufficient with its own renewable power systems, making it a sustainable holiday home. It’s not called the Eco Lodge for nothing! If you’d like to reserve this world renowned lodge for your family holiday, you can book now on the chalet page. Why not take advantage of our Summer rates and choose Chamonix as your summer break?